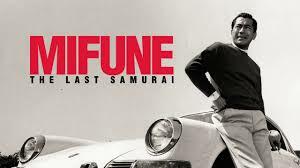 PLOT: Toshiro Mifune, probably the best known of all time, Japanese actor will be the focus of the documentary ‘Mifune: The Last Samurai’ a work that will gather comments as recognized as Martin Scorsese and Steven Spielberg directors. In addition, the narration is in charge of Keanu Reeves. He based all his collaboration with the ‘legendary Akira Kurosawa, in films like Seven Samurai and Rashomon, documentary work will address not only their influence on the film, especially implying its influence in Western cinema, but also in your life away from the focus of the cameras. Check more Documentary Movies reviews and also give yours.